Ever wonder why the symptoms of a cold tend to vary greatly? That’s because the common cold is caused by any one of more than two hundred viruses! Adults tend to get two to four colds a year but children (especially preschoolers) may have up to eight to ten colds annually. Both adults and children are more susceptible to the common cold in the autumn and winter months when children are in school and people are spending a lot of time indoors. Haven pharmacists have shared some of their expert advice so that you know what type of cold you have and how best to treat it. 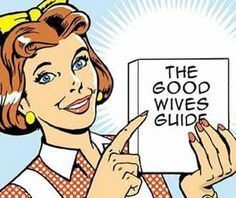 Also, we highlight the importance of self-care and dispel some “old wives” tales. How Do We Catch a Cold? The cold virus enters your body via your mouth or nose through contact with another carrier who has sneezed or coughed close to you. It can also spread by hand to hand contact with someone who has a cold or by using shared objects such as cutlery, towels, toys or telephones. If you touch your eyes, nose or mouth after such contact or exposure you are likely to acquire a common cold. Other “old wives” tales about how you catch a common cold, such as going outdoors with wet hair or getting chilled for example, have never been proven with clinical studies. Although you may feel hot when you have a cold it is unlikely to be a temperature. The presence of a fever may be an indication of flu rather than a cold. During the summer months, you may have symptoms like nasal congestion, sneezing and irritated watery eyes but these are likely to be due to allergy or hayfever. Children are more likely to get a cold because they haven’t developed resistance to most of the viruses that cause them. They also spend lots of time with other children who aren’t as careful about washing their hands – making it easier for the cold to spread. If you suffer from seasonal allergies (hayfever) or ongoing allergic reactions to dust, moulds or pet hair, which affects your nasal passages, you are more likely to develop a cold than people who do not have allergies. Viral and bacterial infections spread easily anywhere people gather – childcare centres, classrooms, hospitals, offices, prisons and military installations. Children, the elderly (especially those that are frail, malnourished or suffering from other illnesses), asthmatics and smokers have an increased chance of suffering from complications due to the common cold. The most common complication of common colds in children is an acute ear infection (otitis media), which occurs when bacteria infiltrate the space behind the eardrum. Typical signs and symptoms include earaches and, in some cases, a green or yellow discharge from the nose or the return of a fever following a cold. Children who are too young to verbalise their distress may simply cry or pull on the affected ear. In adults or children, a common cold that doesn’t resolve may lead to sinusitis. Other secondary infections that may develop following a cold include strep throat, chronic bronchitis and pneumonia. These infections need to be treated by a doctor. A cold generally goes away in about a week, although it may not disappear as quickly as you’d like. If your signs and symptoms last longer than a week, you may have a more serious illness, such as flu or pneumonia. What is the Best Treatment for the Common Cold? There is no cure for the common cold. Antibiotics are of no use against cold viruses, and over-the-counter cold preparations won’t cure a cold or make it go away any sooner. However, over-the-counter medications such as decongestants and cough expectorants can relieve some symptoms so make sure you talk to your local Haven Pharmacist for advice. Drink plenty of water and avoid alcohol, caffeine and cigarette smoke, which can cause dehydration and aggravate your symptoms. Consider staying home from work if you have a temperature or a bad cough, or are drowsy from medications. This will give you a chance to rest as well as reduce the chances that you’ll infect others. Wear a mask when you have a cold if you live or work with someone with a chronic disease or compromised immune system. Keep your room warm, but not overheated. If the air is dry use a vaporiser or humidifier. A cheaper and quite effective method is to boil a kettle several times in a room and place a small bowl of water on top of the radiator (if it is heated). The use of a steam inhalation hydrates the upper respiratory tract and helps loosen phlegm. Menthol and eucalyptus inhalants may also provide relief from the congestion caused by the common cold. Gargling with warm salt water several times a day or drinking warm lemon water with honey may help soothe a sore throat and relieve a cough. What is the Best Prevention for the Common Cold? Vitamin C is essential to maintaining a healthy immune system. Supplementation during the winter months may help to boost the immune system so the body can fight off cold and flu viruses more effectively. Clean your hands frequently and teach your children the importance of hand washing. Keep kitchen and bathroom countertops clean, especially when someone in your family has a cold. Wash your child’s toys after play. Always sneeze and cough into tissues. Discard used tissues right away. Don’t share drinking glasses or utensils with other family members. Use your own glass or disposable cups when you or someone else is ill.
Avoid close, prolonged contact with anyone who has a cold. Look for a child-care setting with sound hygiene practices and clear policies about keeping ill children at home.